Ayer’s Rock Cafe is located in a distant corner of Machida, an outer suburb of Tokyo. Why the cafe located in such a distant tract of Tokyo derives its name from the now non-PC moniker of Uluru is something of a mystery, but it has been operating since 2000 and comes highly recommended by members of a nearby horse-riding club and large private school, so it must be getting something right. For Aussies, there’s nothing on the menu that really makes it worthwhile making the trek out to the cafe for a need to combat homesickness. The cafe does serve Bundaberg Rum and is decorated with standard Aussie kitsch like tourist-oriented Indigenous Australian trinkets like boomerangs and digeridoos, copies of Australian road signs, a few items of bush jewelry and assorted items from Carlton & United Breweries. 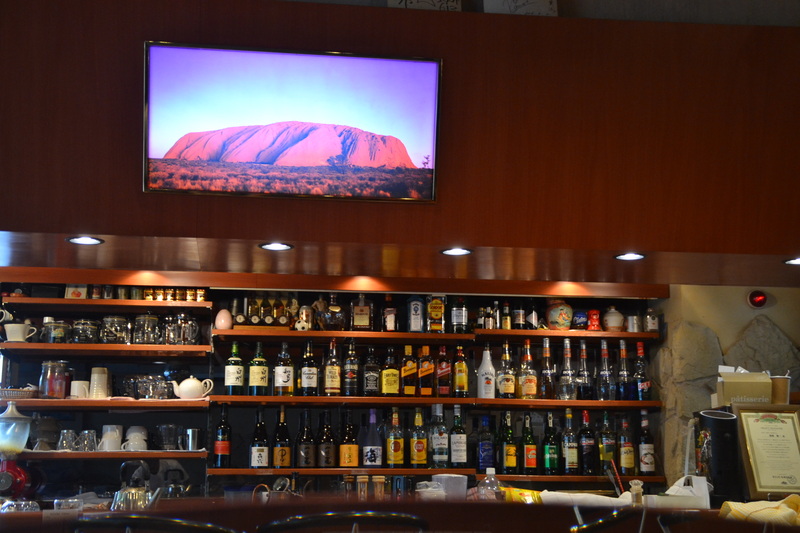 The one menu item that does play on the cafe’s Australian association is Uluru curry. This curry is a dried curry served atop a healthy pile of rice and presented in a way that makes it bear something of a resemblance to Uluru. The curry is served with side dishes of salad and yogurt, and all are tasty and filling. 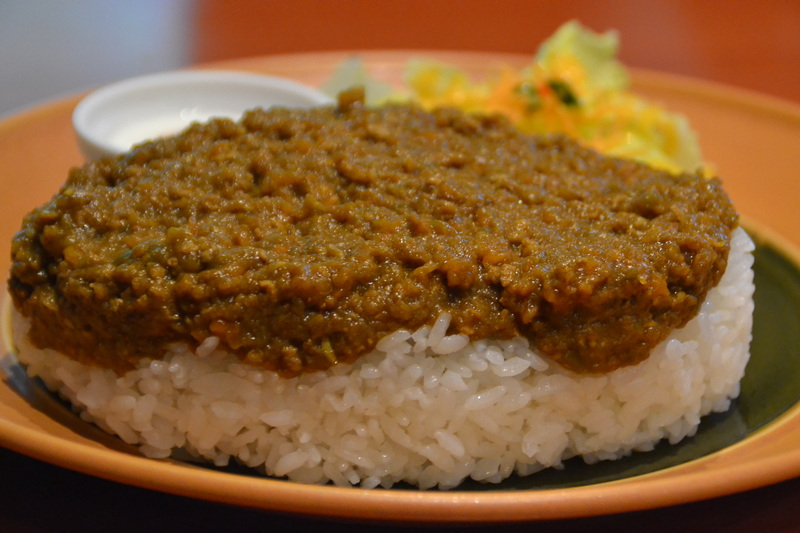 The curry is mild and its appearance at least gives something of an Australian flavor that doesn’t seem to come from anywhere else served at the establishment. Other dishes are tasty, but not noteworthy. They will not disappoint the taste buds, but may not please the pocket. Recommended are the set menus, which include a main meal, a donut from Daddy’s Donuts, which the cafe also deals in, and a drink for around 1,300 yen to 1,400 yen are probably best. Indeed, the donut was delicious, made with little oil and with a light fluffy taste with a crisp outer crust. 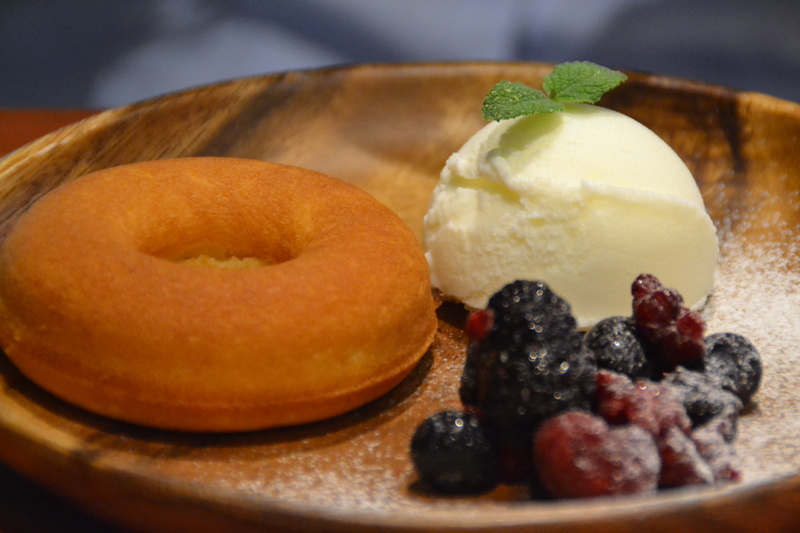 The donut is served with a scoop of ice cream, which can be topped with cinnamon or rum sauce or both, and berries with garnishing of castor sugar. The dish is excellent and the donuts come in four flavors of plain, sesame, soybean or early grey. Also recommended is the coffee, which was dark with a rich, satisfying taste and powerful aroma. ← Let’s Barbie! Aussie-Style BBQing for the Japanese!